It is difficult to get away from circles. Even as I type up this post, there are several objects on my table that are circles. As a kid, I learn that a circle is a collection of points equidistant from the center. As I get older, I understand that a circle can be regarded as an N-sided polygon, with N approaching to infinity. 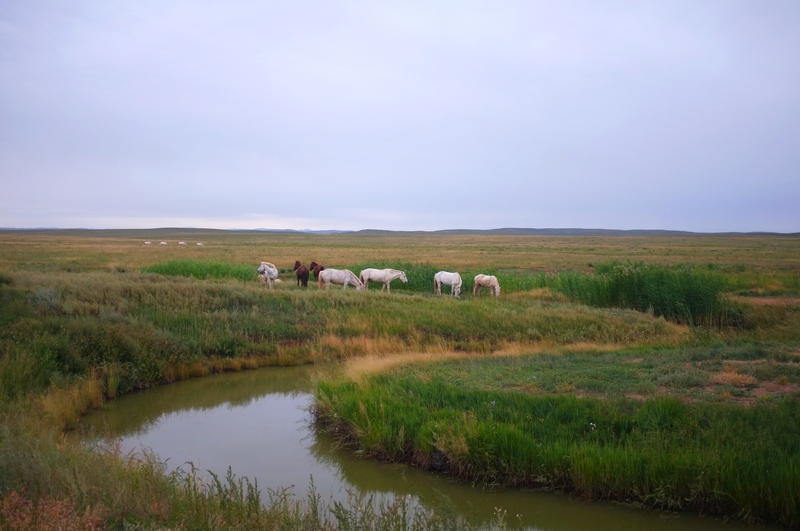 Here are some examples of circles found in Inner Mongolia. The first one is the ceiling inside a Mongolian yurt where all supporting members come together. 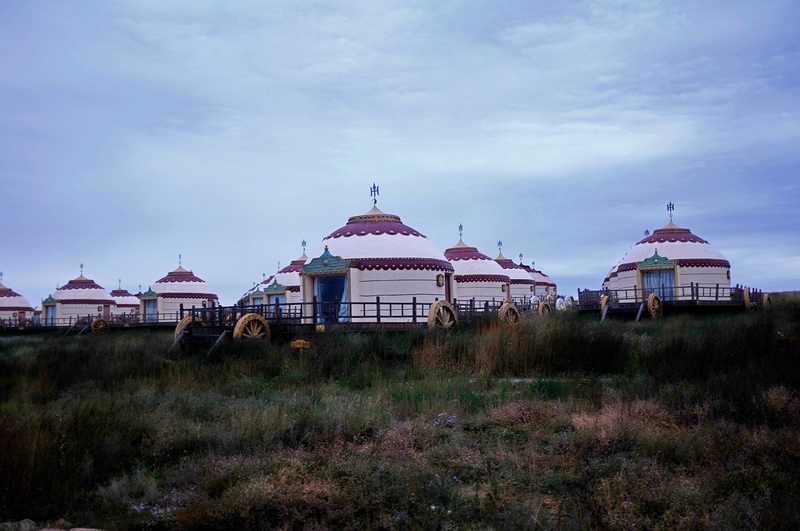 The other two photos show the exterior of the yurts. Woke up early with the anticipation of seeing the sunrise. There was no sunrise, so slipped out of the yurt for an early morning walk. 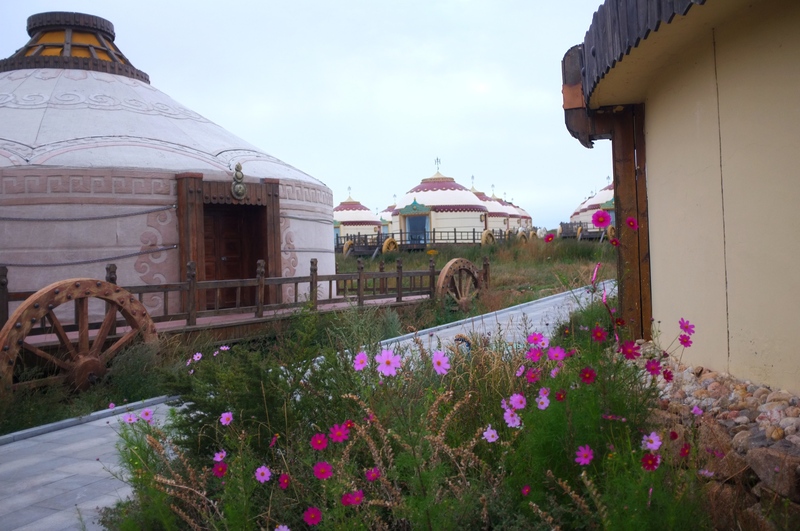 I was delighted by the flowers just outside the yurt. Not sure what those flowers were but they look photogenic. 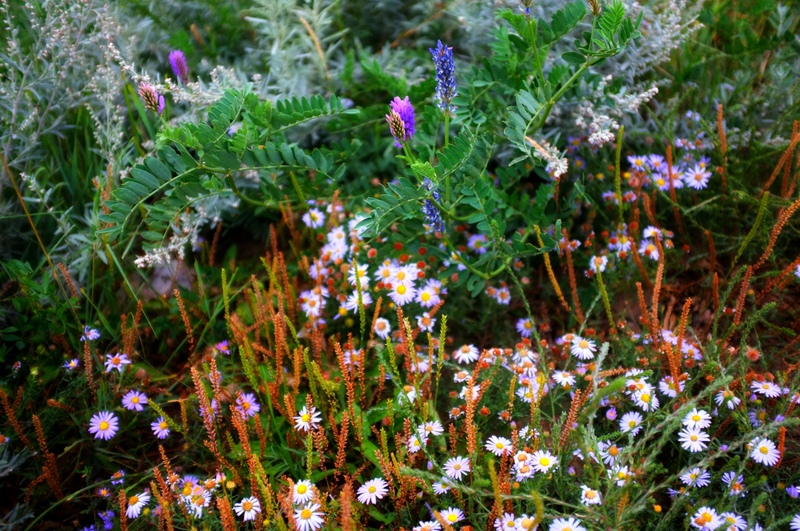 Further along, there are also some white flowers and plant which captured my eye. 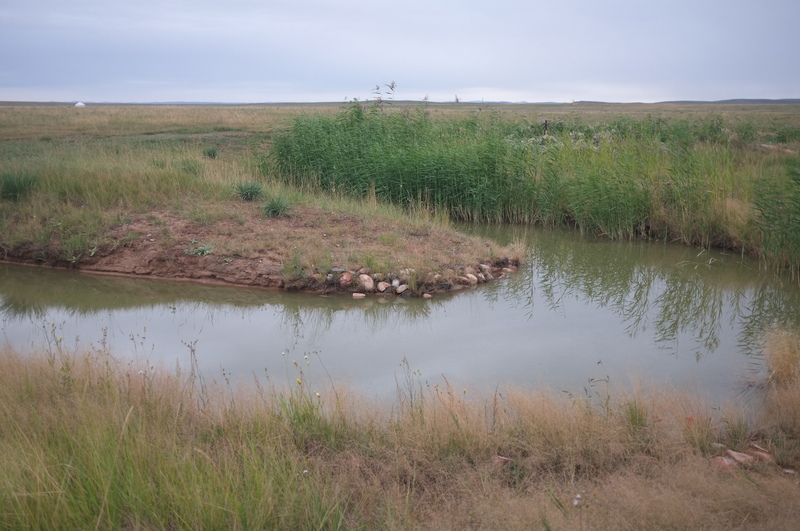 Wandering further out to the steppes, I was surprised to see a stream babbling along at this time of the year – everything looks so tranquil. 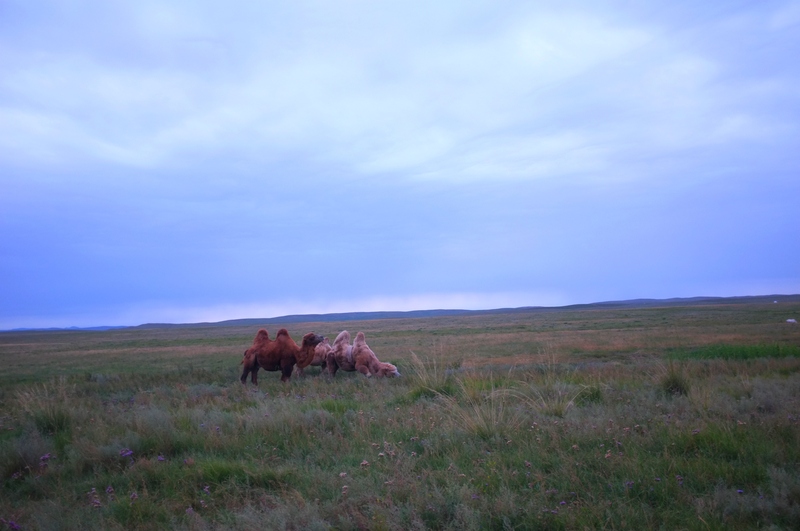 Then some camels came along. I guess we were doing the same thing – having an early morning walk. I walked quietly towards them and took some photos. Then came the Mongolian horses. . . . . . . . . . and more horses. By now, the stream seem to be getting busier. I knew I had a perfect morning and I should be on my way back to the yurt and have a hearty breakfast! 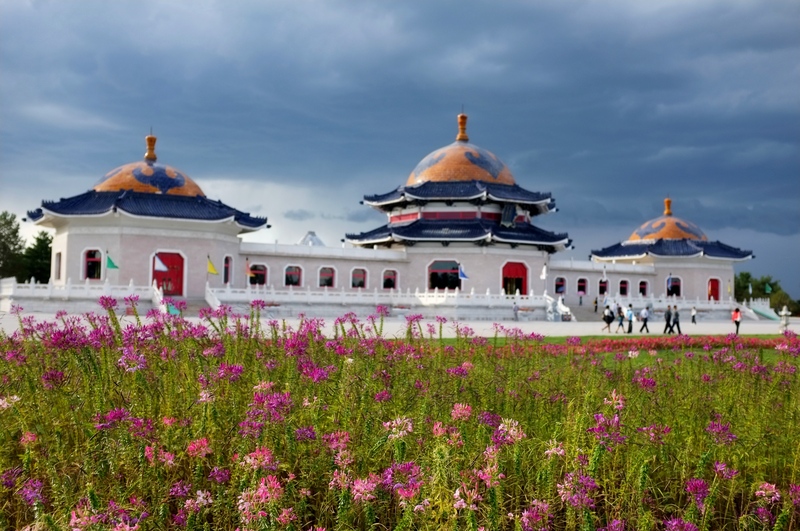 On China’s northern edge there is a territory that combines the wonder of the desert and the beauty of the grasslands for an experience that will take your breath away; this autonomous region is known as Inner Mongolia. 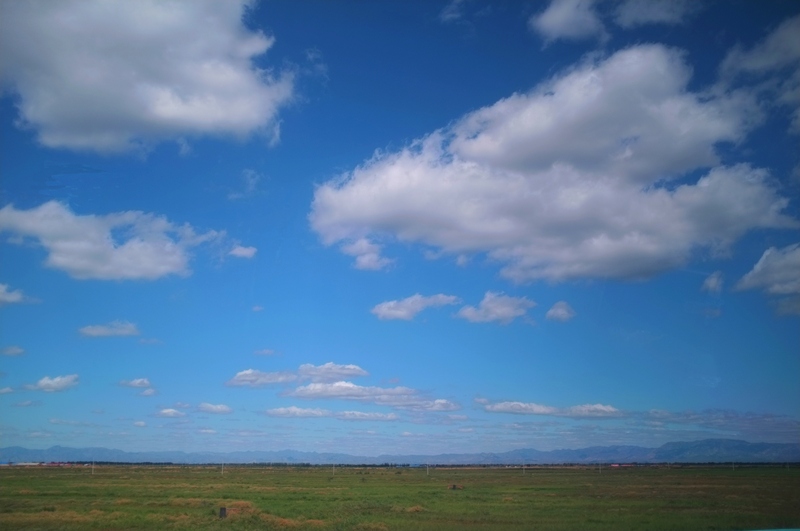 Inner Mongolia’s vastness maintains a feeling of timeless tranquility unlike anywhere experienced in China. As a city boy, I have never visited any grassland or desert; have seen some small grottoes but never visited any major one or any temple like the Hanging Temple. 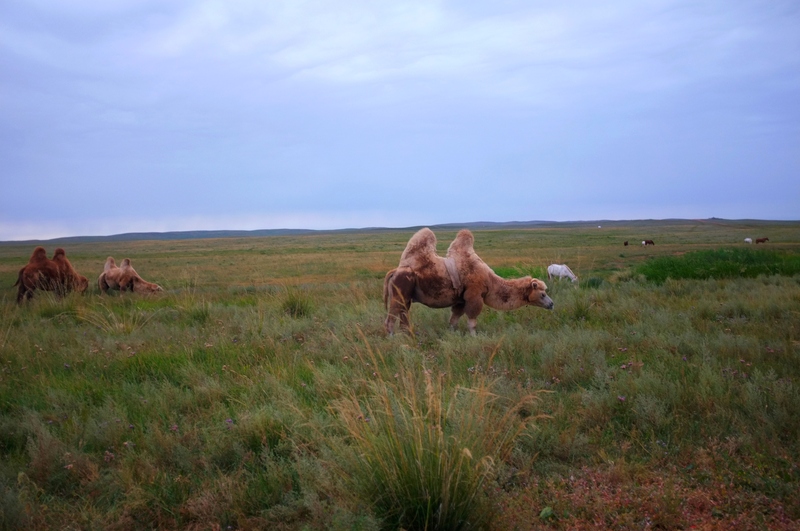 June and July are the best time visiting the steppes of Inner Mongolia when the grass is green; but it may be too hot in the desert. 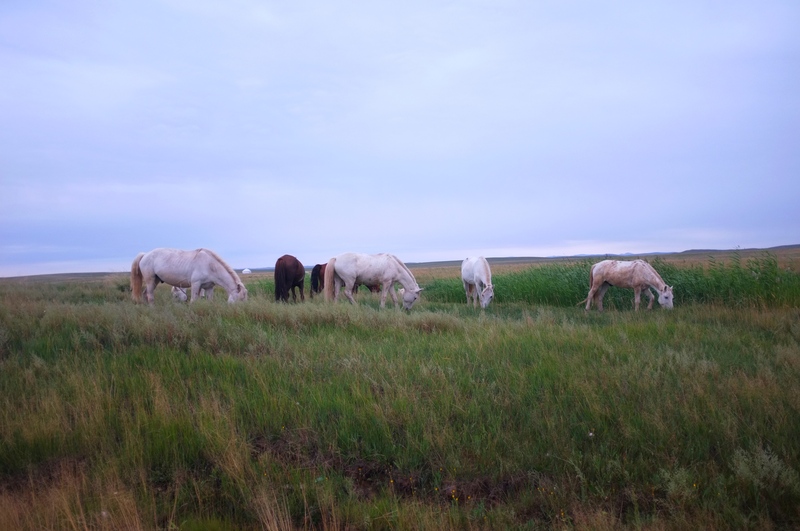 As a compromise, we started our trip end August 2012 and found ourselves in the grassland in the early part of September. I was always fascinated with the story of Genghis Khan; how, in 25 years, he had conquered an area even larger than the Romans were able to conquer in 400 years. This is the land where he once roamed and lived. He was good in strategies, did not have a hugh army (maybe only around 100,000 soldiers) but his speed of moving his army around in Mongul horses, his tatics and his well planned sieges allowed him to conquer a large part of Asia and even part of Europe. 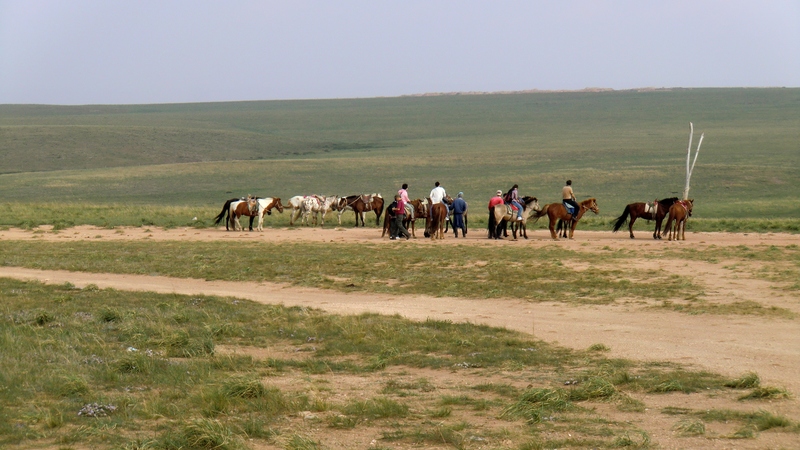 Horse riding in the steppes in Gegent Tala of Inner Mongolia. 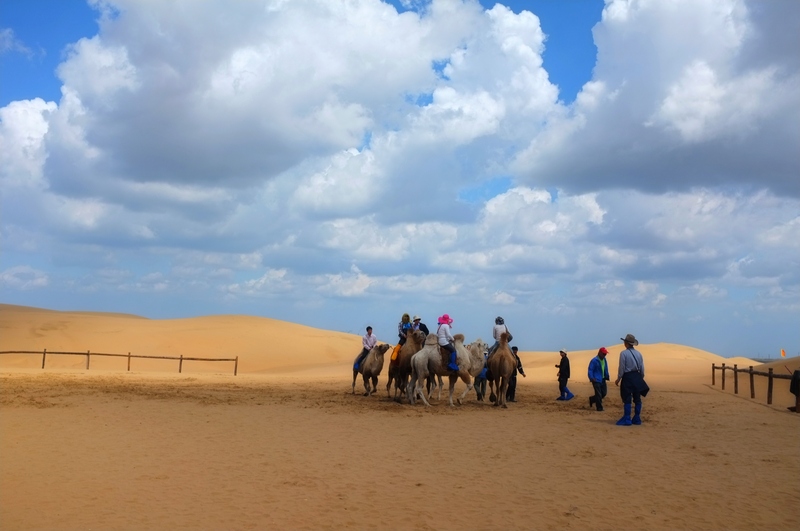 Camel riding in the Resonant Sand Desert near Baotao. Wandering aimlessly in the desert. 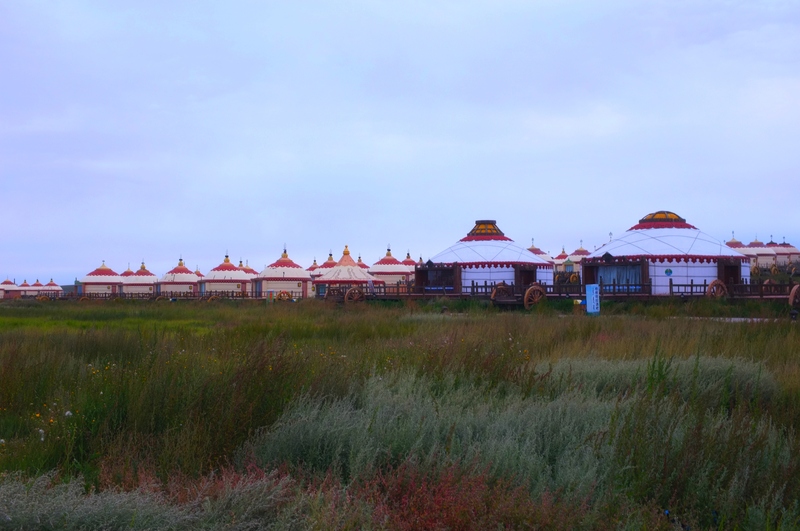 Sleeping in a Mongolia yurt. Visiting the Masouleum of Genghis Khan. 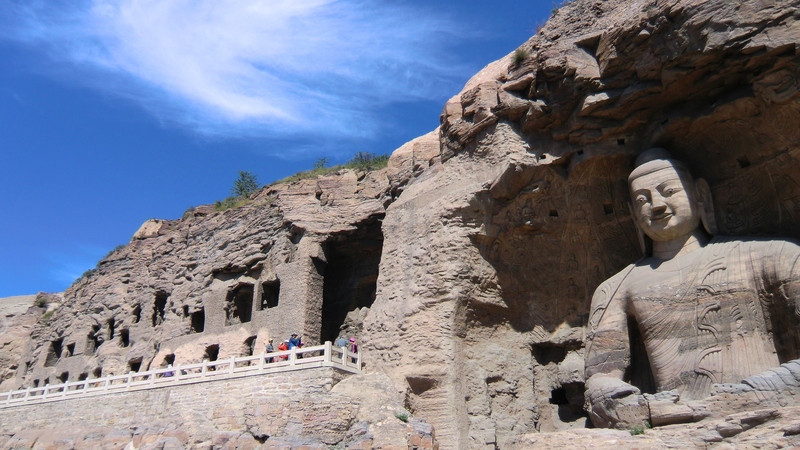 On our way back from Inner Mongolia, we also stopped by the Yungang Grottoes. Travelling further along, we were awed by the Hanging Temple in Da Tong, Shanxi which is south of the Great Wall of China. Our trip started with first flying to Beijing where we changed plane to Hohhot of Inner Mongolia. 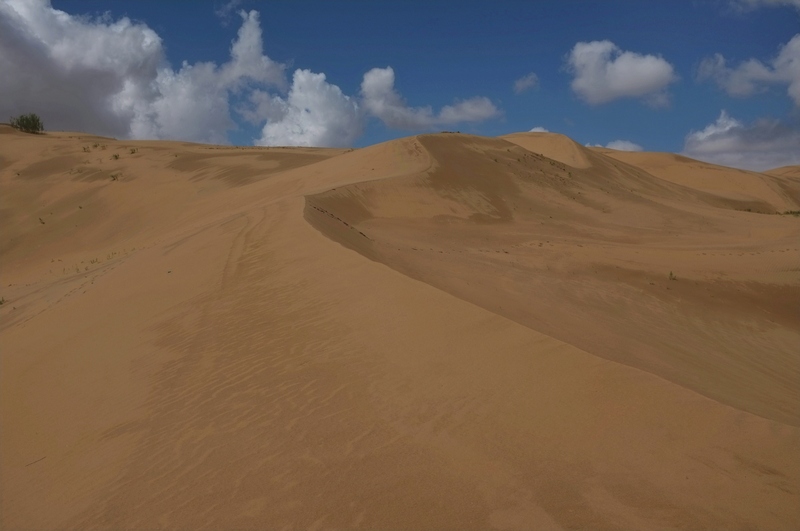 Using Hohhot as a base, we visited the Steppes in Gegent Tala, the Resonant Sand desert near Baotao. 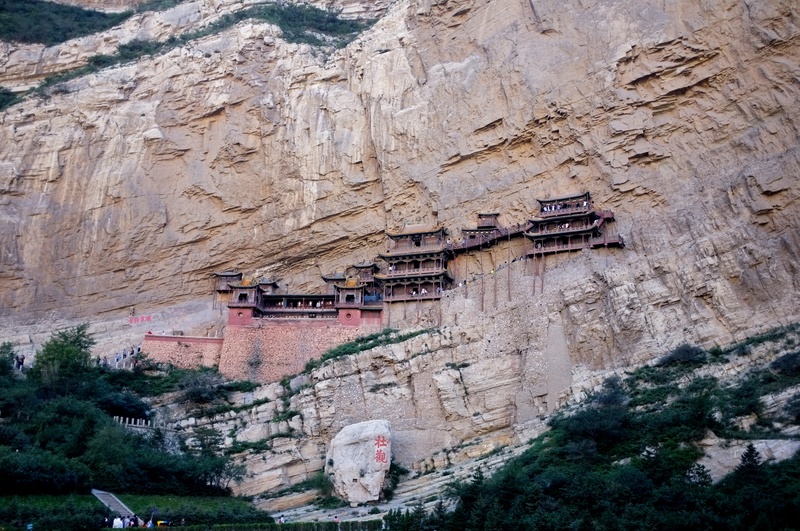 From there we travelled 8 hours on a coach to DaTong, Shanxi where we had a good look of the Yungang Grottoes and the Hanging Temple which was part of the Hen Mountains in China. From Da Tong, we flew to Beijing to complete our journey. We learned more about Genghis Kahn and started digging deeper into his history and as to where his burial place is (still unknown and being investigated by National Geographic and other bodies). It was indeed an eye opening journey. We were totally impressed by what we saw . Was disappointed that I didn’t see any sun rise that morning. Woke up early and slipped out of the yurt. The sky was still dark. Not a soul was in sight, I was the only human being out there on the steppes ( there were horses and camels grazing ) photographing. The yurt was pretty basic and I didn’t sleep too well. It was a bliss to be alone on the vast steppes . . . . . . . . but the rain started to fall.